¡ Qué desastre de flautista ! 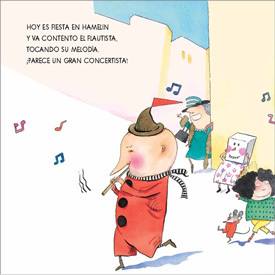 is a funny and beautifully illustrated Spanish adaptation of the tale of "The Pied Piper of Hamelin". 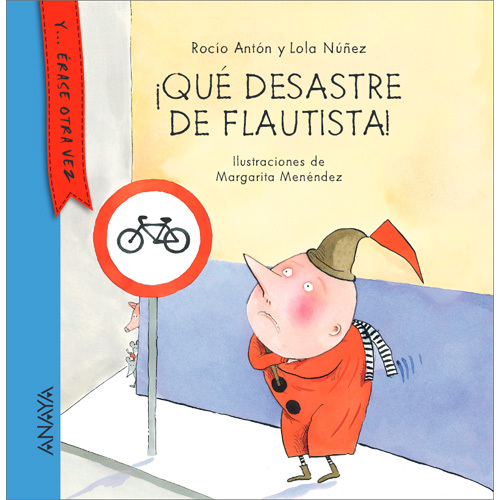 This book is written entirely in Spanish with no English translation or pronunciation guide as it is intended for native users.